Number Pickup: 10:30am-11:45am at the pavilion. 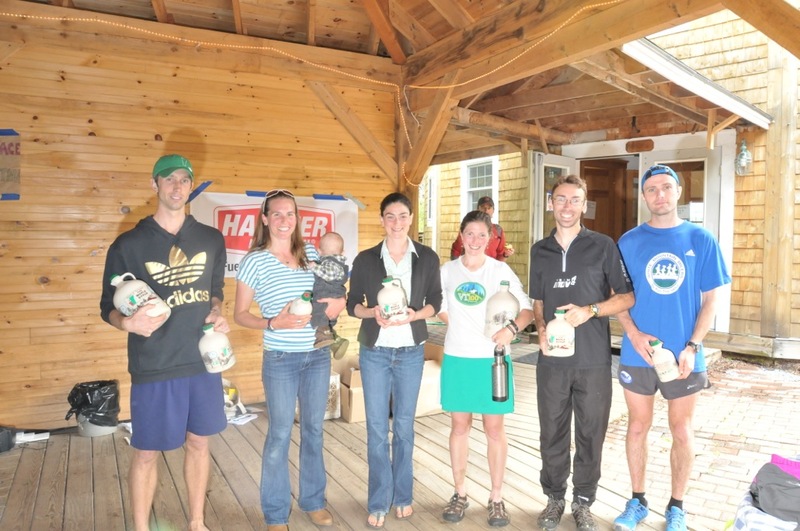 Awards to follow the completion of the race at the pavilion. King of the Mountain Preme: The first Male and Female to reach the course’s high point, Adirondack View, will win a King|Queen of the Mountain prize. *You must finish the race. Muddiest: The muddiest male and female across the finish line will each win a prize. Raffle: Distributed at bib pickup. Each year these raffle prizes are a little different, but usually include several Solomon products, Running Saps Maple Syrup and whatever else we think would be fun. Inn – Rooms in Sleepy Hollow Inn are available this year, Saturday night only, at a rate of $100 (plus 9% tax) for the room for the night. Breakfast is not included, but he Inn’s kitchen is available for use. Please call 802.434.2283 to reserve. Camping – Molly’s Meadow, near the finish line, has 4 lean-tos available as well as space for tent camping. Campers may use the restroom in the nearby Round Barn and the restrooms with showers in the basement of the ski shop. Camping is $10/per person. Please pay for camping at bib pickup (cash and check only). No reservation required. When you arrive please park in the Sleepy Hollow lot and follow the signs from the parking lot to the camping area.